Material - VG-10 Nickel Damascus. 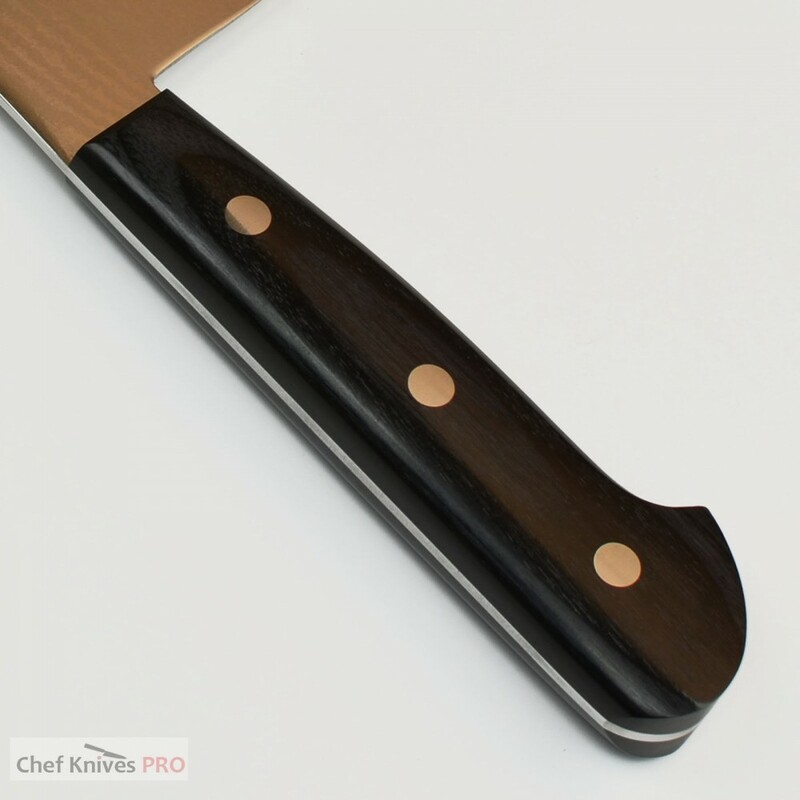 The Santoku is a all purpose knife with a round tip. The blade is shorter and thinner, making it perfect for home cooking. 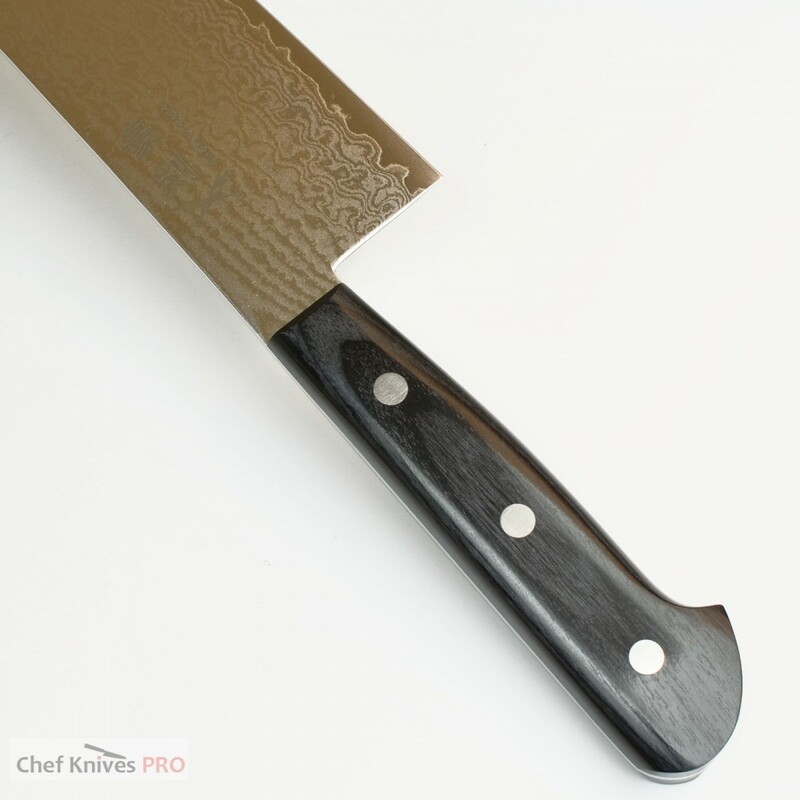 Santoku literally means “three virtues”, and can be used for meat, fish, and vegetables. Forged with 33 layers of steel in the Damascus tradition with a VG-10 Core, the VG-10 Damascus Series has been a perennial best seller, combining performance, beauty, and extraordinary value. 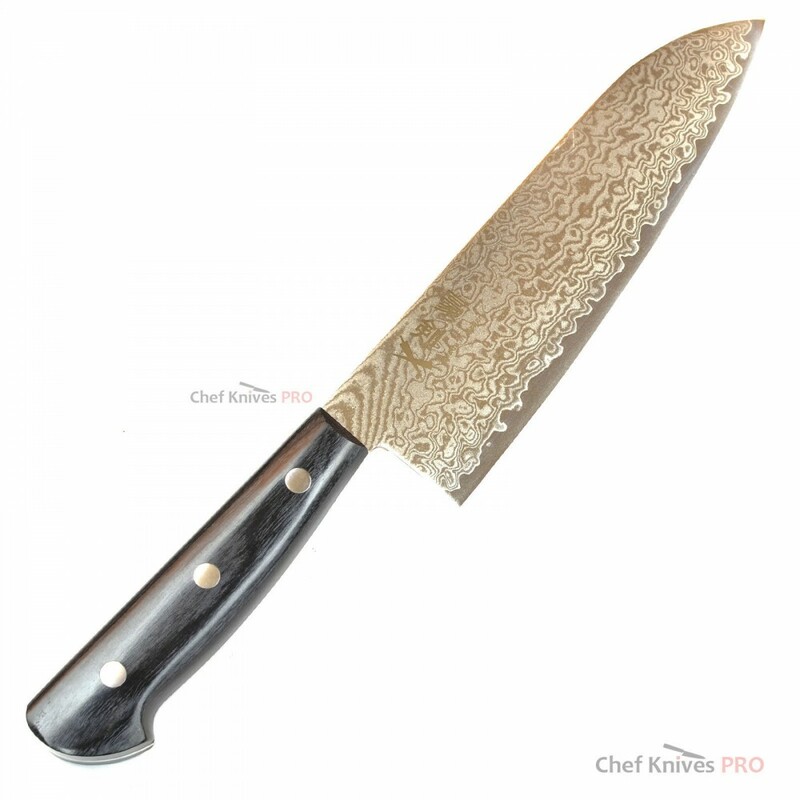 Forged with 33 layers of steel in the Damascus tradition with a VG-10 Core, this knife is complimented with a premium Western style handcrafted handle that extends to the full tang of the knife for commercial kitchens and ergonomically welds to the hand for seamless use. Every knife from GOUKEN is handcrafted by master artisans creating a unique one of a kind work of art.